The Cummer Museum of Art & Gardens, in collaboration with Cummer Amelia, is pleased to present An Afternoon of Art: Lecture Series in partnership with the Fernandina Beach Branch Library. Howard Gilman supported Mikhail Baryshnikov and created the White Oak Dance Studio to explore new choreographic development in both ballet and modern dance. Talismans in this exhibit are images which were carved into pieces of wood and then inked and pressed onto cloth or paper. These images are thought to be magical and can bring good luck in the afterlife to those who have died. Guest Artist Gary Johns will be exhibiting his coastal art in oil landscapes, shrimp boats, and birds. 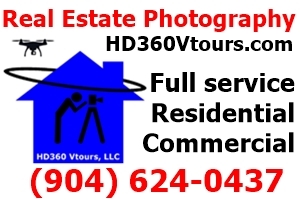 Contributing photographers are all residents of Nassau County, FL and have selected and submitted their favorite images. Have you made your list and checked it twice, and still have gifts to buy? 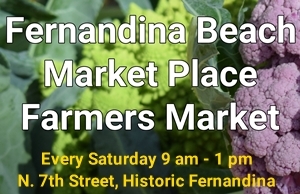 The Arts Market in Fernandina is a great place to shop and support small business owners. You are invited to submit photographs for the Friends of the Library’s quarterly Rotating Art Shows. 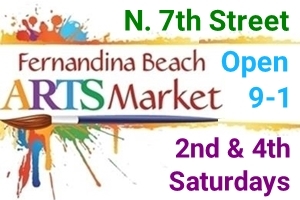 Now open every Saturday, the Arts Market is a great place to shop for one of a kind pieces. Meet the artists and learn what inspires them. Bijoux Amelia, a boutique offering fun, funky and affordable ladies accessories, will be hosting its own reception – a “Meet and Greet” with local photographer Ann Kemp. Art exercises a tremendous influence over our personal identity and public values. Learning to understand, appreciate and strengthen that influence enriches our lives as individuals.